Now included with your US LinkedIn Recruiter Corporate license. Now you can reach candidates in a new way. 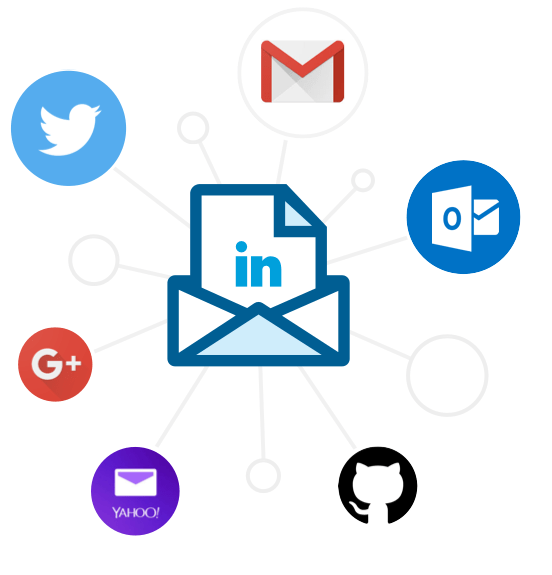 Recruiters typically see up to 50% higher response rates when using both LinkedIn InMail and emails from Connectifier. Connectifier can help you learn more about potential candidates. With instant access to social media profiles, you can quickly decide if it’s time to make a connection. Once activated, Connectifier will seamlessly integrate with your account. Find the Connectifier module on the side of a Chrome or Firefox browser – and use it to better understand your candidates. "I love that Connectifier finds email addresses. It also saves me from having to perform additional searches by aggregating information from social sites." Improve how you reach and engage with in-demand talent today. Professional Services customers. Contact your rep with questions.